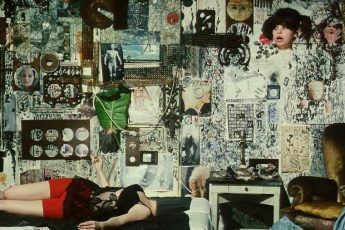 There are few questions that are as obstinate when it comes to the perception of an artist’s work as that of Chytilová’s “feminism”. Any odd discussion of her oeuvre – whether academic or popular – seems to culminate in the seemingly inevitable question whether that term can be applied to her films, or not.1 Given that nearly all commentators who tackle this question arrive at the answer that yes, she was a feminist indeed, the persistence of seeing it raised is especially baffling. Why spend so much time explaining that Chytilová is a feminist when we all seem to agree that she is? Part of the answer is that Chytilová herself rejected that label, which appears like a slight embarrassment to commentators who have led the debate, although many attempts have been made to explain away her response. Perhaps, Chytilová rejected the label because she was a staunch individualist who rejected any sort of movements; because “feminist” had a more negative connotation in Central Europe at the time; because artists tend to reject categorizations of their work; or because she simply grew tired of answering the question and started to become defiant over time? In view of such an arsenal of potential immunizations, and the trite truth that artists are not always the most reliable critics of their own work, Chytilová’s own stance falls short of creating an argumentative void that would account for our obsession with the question. Our drive to keep returning to the debate seems to stem from another place than Chytilová’s response to it. My aim in this essay is not to make the n-th attempt at settling the debate whether Chytilová is a feminist. Rather, it is a reflection upon its continuance beyond either progress or resolve. Why do we feel compelled to ascribe that term to Chytilová and justify our doing so? (And why does Chytilová feel the urge to elude the ascription?) Why not treat the debate as one of many classificatory questions that simply turn upon our understanding of the term? After all, we could end the debate by admitting that the question whether a film is feminist depends on how we understand both that label and the film itself, so that answers can only be given relative to definitions and perceptions, which are (somewhat) arbitrary and (rather) subjective respectively. Instead, we continue making the case as if our intellectual integrity depended on it. None of this is to say that the continued ascription of a contested term is either unnatural or useless. But it is to say that the use of the discourses we perpetuate is not obvious, so that to anyone who steps back and reflects upon them will at first be hard pressed to try and explain them. It is this irritation that I depart from in trying to account for a popular reflex in both academic contexts, and in popular discourse – the ascription, in genuinely equivocal situations, of terms whose use is neither transparent nor disinterested. To illustrate why I think that what we are dealing with is not just an idiosyncrasy of a debate originating with film studies, I want to briefly recall the Communist myth surrounding Spartacus. I find the example particularly fitting because we know close to nothing about Spartacus’ motives and objectives in staging one of the most famous slave uprisings, since the ancient sources available today are secondary (themselves referring to earlier sources), speculative, and conflicting on the matter. Plutarch mentions a vague goal to have his army disperse across the Alps, while Appian – the only major source besides Plutarch’s Life of Crassus – focuses on Spartacus’ military ambitions. In the Soviet Union, this scarce historical basis became a grand narrative about an ex-slave and his quest to defeat Roman imperialism, end the suppression of the poor, and lead the world towards a better future. Of course, the Soviets had no monopoly on that narrative, nor were they their original creators. The myth of Spartacus as an ancient voice of the suppressed – an atheistic and more violent alternative to Jesus Christ – had already been virulent in late 18th and early 19th century France, where he starred in both plays (Bernard-Joseph Saurin’s Spartacus, from 1760) and sculptures (e.g. Denis Foyatier’s famous 1830 work that is still on display in the Louvre today). In 20th century popular culture, Spartacus’ story kept reoccurring ever since the success of Stanley Kubrick’s 1960 epos (written by Dalton Trumbo, a victim of McCarthyism), which has inspired TV series and movies to this day. The reason why it is still worth focusing on the Soviet narrative is not just that it is more relevant to the political context Chytilová found herself in. The motives for the Soviets’ instrumentalization of the Spartacus myth also seem particularly transparent and compelling (even more so than in post-revolutionary France, as I hope will become clear). The most intellectual and straightforward of the motives behind stylizing Spartacus as a champion of class struggle may have been to validate historical materialism, especially its claim that “history of all hitherto existing society is the history of class struggles”2. If Spartacus in his attempt to escape slavery in Rome had done this with a class-based goal (whether knowingly or inchoately), this is proof of the suggestion – done with more care and persuasiveness by G. E. M. de Ste. Croix in The Class Struggle in the Ancient Greek World – that history had already revolved around the struggle over the means of production in the ancient world. (This is important because if all hitherto existing society is the history of class struggles, this must also be true of ancient societies.) Having said that, arguing for the validity of historical materialism was no purely intellectual endeavor for Soviet propagandists. Since the Soviet Union, as most totalitarian systems, had a ruling ideology, which was partly built on historical materialism, proving it right was a major matter of political legitimacy. Thus, even if proving historical materialism had been the only goal Soviet propagandists were pursuing, that goal would have had political dimensions. Of course, it was not by far the only goal. Indeed, there is a more direct link to the issue of legitimacy in that the presumed continuity between the Third Servile War and the Soviet cause suggests that the intuitive legitimacy of the former is shared by the latter. As Quentin Tarantino has made excessively clear through his thematically redundant films, the righteous vengeance of the oppressed is a universally appealing struggle (even if people tend to have widely divergent perceptions of who is oppressed to begin with). What better way to valorize your pseudo-emancipatory body politic than by linking it to the uprising of the truly oppressed, of slaves coerced into killing each other for the sake of entertaining the Roman public and thus helping an imperialistic empire survive? Does not the continuity between your cause and that of ancient slaves suggest that your struggle is a natural fact of human existence, the consequent pursuit of a basic instinct that has always been there and will never be eradicated? From today’s perspective, the analogies between Spartacus and the Soviet Union span wider than the Soviets may have liked. The Soviet Union, too, lost out to its militarily superior enemy and is now the object of mythmaking. One of its most innocuous legacies is the consolidation of the mythological Spartacus – as the Soviet politicians saw him, an early Communist who anticipated the unprecedented upheavals of the early 20th century. That Spartacus was depicted as that, a Communist hero, rather than just being celebrated as a curiously familiar object of awe – a popular figure whose heroism resembled that of the Soviets as they perceived themselves -, brings to the fore some of the motives behind wanting to label someone as someone. What is at stake in wanting to ascribe the label “Communist” to Spartacus is not just intellectual curiosity, but the validity of a whole system of beliefs, and with it the legitimacy of a political system. To Soviets ideologues, Spartacus was not like a Communist. He was a Communist. Let me acknowledge that just as Soviet ideologues and French revolutionaries before them drew a connection between their cause and that of Spartacus for a reason, it is no coincidence that I am advancing the issue of labeling via Soviet propaganda. I hope that the reader will nevertheless recognize my sincerity in stressing that I do not mean to equate Soviet propaganda with debates surrounding the question of Chytilová’s “feminism”. It is just that besides there being a certain analogy between the two discourses, the Soviet case is dramatic, thus allowing me to bring out clearly some aspects of labeling that are barely visible in the Chytilová case – the move is intended to be heuristic, not suggestive. (In Aristotle’s words, “we must use clear examples to illustrate the unclear”3.) What, then, licenses the comparison? It is hard to say whether this is due to genuine obliviousness, or due to an unwillingness to associate Chytilová with Eastern Europe’s unique strand of “feminism”, if you will. After all, the special situation of female empowerment in Communist and Socialist countries was such that it was largely state-produced and only partial, not penetrating customs, family relations, or real positions of power (not that any of this was truly achieved in the West). Thus, while Eastern European women in many walks of life were genuinely empowered in the sense of being economically independent and well-educated, they lived in deeply patriarchal societies whose male-dominated ideology was never fundamentally called into question by the regime. This makes it difficult to associate Chytilová with this sort of pseudo-feminism, as her concerns with women’s standing in society cannot be said to depart from or accord with state ideology. The question is whether that necessarily makes them depart from feminism as it is traditionally understood. Perhaps, the reason why Chytilová feels the urge to resist being labelled as a “feminist” is not that she perceives it as a pejorative term, nor that she a priori rejects being associated with movements, but that – as a matter of fact – her preoccupation with women’s standing in (Czechoslovak) society simply did not stem from any particular discourse. To someone who arrived at a world view by herself, the association with a specific movement or tradition may come as reassurance. But it may also come as a provocation. Why let yourself be associated with a discourse that was not your source of inspiration? Why submit to its ramifications when you may neither be overly familiar with them, nor particularly interested in committing to them? Again, this is not to deny that Chytilová’s cause and that of feminism reflect genuine kinship. The topoi Chytilová played with beginning with her very first film are the very topoi feminism is concerned with. In certain respects, the kinship cannot be overstated. You see, starting from her early films, female characters being defiant as newlywed wives, as youthful rebels, as frustrated housewives, and as self-standing professionals who do not know how to cook. I am simply wondering whether Chytilová may not have had good reasons for rejecting the label even if we assume – with Chytilová, I take it (more on this below) – that feminism is not a pejorative term. It is one thing to pursue similar goals via comparable methods, and another thing to be part of the same movement. Spartacus may have demonstrated that it is in the human nature to seek to break free from one’s chains, that suppression is an unnatural state we constantly seek to overcome. But that does not make him a Communist. If you wonder why I am hammering away at this issue, you may be underestimating the appeal of such leveling syncretism. Consider Francis Fukuyama’s latest book, Identity: The Demand for Dignity and the Politics of Resentment, in which he seeks to rewrite the history of all hitherto existing society as the history of struggles over identity. That book is not just problematic because its story is told almost entirely from a Western standpoint; because identity is not a very good concept to serve as a tool for analyzing all history; and because Fukuyama’s method is rough-and-ready to the extreme.6 It is also that Fukuyama appears to have no appreciation for the progressive evolution of ideas and power relationships, instead suggesting that identity, as we understand it today, can simply timetravel back to the ancient world without major disruptions in the space-time continuum – which is particularly ironic given that Fukuyama’s idea of a “demand for dignity and the politics of resentment” is deeply Hegelian. After all, if there is one thing about history we should have learned from Hegel, it is that it is transformative and productive, giving rise – through ultimately rational detours and backlashes – to ideas and realities that did not really exist prior to these processes having unfolded. While commentators of Chytilová are far from falling prey to such blatant anachronism – importantly, there was already a large tradition of feminism when Chytilová made her films – I see a similar risk of syncretism. Is there no paradoxicality in ascribing feminism to someone who rejects that term? Is it not a constitutive part of being a feminist to understand oneself thus, to assert one’s political cause to be that of bettering women’s standing? It seems that most feminist commentators of Chytilová’s work – and those who sympathize with them – see a benefit in ascribing that label to Chytilová which they take to outweigh potential worries about making that identification. As I have tried to indicate, this is a reflex I believe can best be explained as an attempt to legitimize both feminism itself, and Chytilová’s stance. Why it would help achieve the former is obvious: Chytilová makes explicit the ways in which women were oppressed and treated unequally in Czechoslovakia. The Maries from Daisies or Eva from Fruit of Paradise are women whose claim to independence is contested precisely because they are women. This is especially clear in Fruit of Paradise, where Eva’s husband Josef admits to having had an affair while expecting both understanding and faithfulness from Eva in return.7 Importantly, neither the Maries nor Eva accept society’s normative order, instead subverting it through shenanigans and intentional transgressions. By identifying Chytilová as a feminist, the arguments and intuitive appeal of these films’ depiction of women’s standing become reasons for accepting feminism itself. Perhaps to a lesser degree, commentators also believe that the appreciation of Chytilová’s work is enhanced by identifying her with feminism. To me, the attractiveness of both moves is questionable. I believe that the feminist cause is in fact enhanced if we can show that it grows naturally from humans without discursive initiation into that tradition of thought, so that artistic products and movements not stemming from it are in fact conducive to its greater purpose. And vice versa, I believe that Chytilová’s work is better appreciated by not constantly seeing it through the lens of feminism – not because that is a lens that is to be discarded, but because our obsession with singling it out prevents us from appreciating the other ways in which Chytilová’s films are meaningful and inspiring. Are, say, the motivational issues of gymnast Eva in Something Different really primarily related to her being a woman? While it is true that the juxtaposition between her story and that of house-wife Věra works towards portraying women’s ambivalent standing in Czechoslovakia – in the words of a recent commentator, “a brilliant, if depressing, feminist narrative strategy”8 – the film could also be said to depict two conceptions of freedom – the common-sense one of freedom as ‘doing whatever I want’, which brings Věra temporary satisfaction but does not even begin to challenge her dependence on her husband, and the more refined one of finding freedom by submitting oneself to rules and discipline, which Chytilová depicts as brutal and humiliating throughout the film only to have Eva steal the show during her final championship.9 In this sense, Chytilová’s disinclination to be associated with feminism may be a directive how to view her films: do not approach them with readymade heuristic schemes, but with an open mind. This will not prevent you from seeing Chytilová’s characters as women (how could it, when that perspective is so apparent?). But it will allow you to view them as humans as well. I want to end by submitting that late in her life, Chytilová did relent, if you will, embracing the feminist cause. To me, the scene most revealing of this shift is not an interview where she admitted to being a feminist,10 but her visit to the talk show Please Relax (Uvolněte se, prosím) in 2005.11 In her characteristically defiant manner, Chytilová there confronts host Jan Kraus with his machismo, demands that more women be “remembered” and seen, lobbies for a Czech women’s rights party,12 and argues with Kraus about female oppression. I remember few appearances on Czech TV as genuinely confrontational as that. That Chytilová embraced the feminist cause late in her life could be interpreted as a late insight about her own views. Or it could be seen as a conversion in the context of a new political and social reality where the emancipation of women seems to have finally stalled, calling for organization. Either way, there are better reasons for Chytilová to have rejected the label throughout most of her career than idiosyncrasy or misinformation. Perhaps, in the discussion surrounding Chytilová’s so-called “feminism”, we too, should relent. EEFB’s Chytilová issue, which this contribution is part of, is no exception to this rule. Marx, Engels, “The Communist Manifesto”. In: Marx. Selected Writings. Oxford: Oxford University Press, 1977. p. 246. Aristotle: Nicomachean Ethics. Translated and Edited by Roger Crisp. Cambridge: Cambridge University Press, 2000. p. 25. See Peter Hames’ insightful chapter on Chytilová in his book on the New Wave. Hames, Peter. 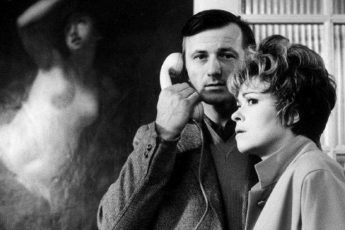 The Czechoslovak New Wave. Berkeley: University of California Press, 1985. pp. 206-228. Cf. Gray, Carmen. “Vera Chytilová for beginners”. Accessed on 1st of November 2018. https://www.bfi.org.uk/news-opinion/news-bfi/features/vera-chytilova-beginners. Cf. Menand, Louis. “Francis Fukuyama postpones the End of History”. Accessed on 1st of November 2018. https://www.newyorker.com/magazine/2018/09/03/francis-fukuyama-postpones-the-end-of-history/. That said, I think that this is only part of the story these movies are telling even about the characters and their claim to independence. See below. Foster, Gwendolyn Audrey. “Something Different (1963)”. 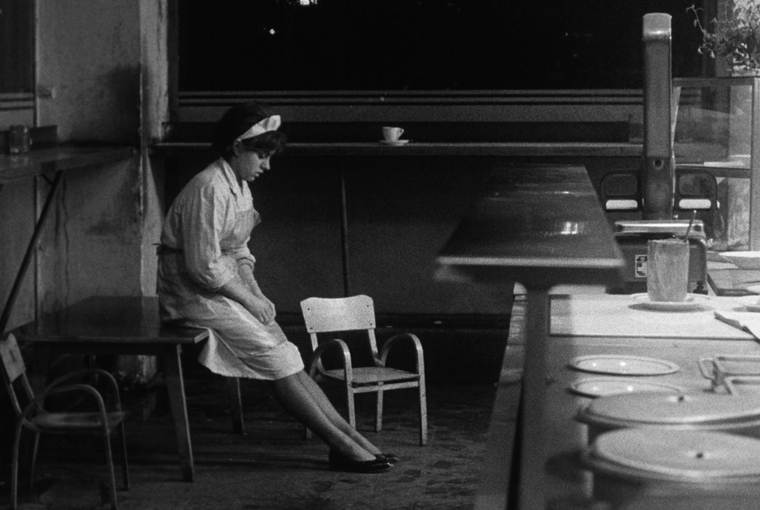 Accessed on 1st of November 2018. http://sensesofcinema.com/2018/cteq/something-different-vera-chytilova-1963/. This preoccupation with the price of freedom is also virulent in “Daisies” and “Fruit of Paradise”. While commentators tend to depict tragedy merely as a product of a male-dominated society, that is only part of the story. Would we not say that in any society, however utopian, the move to subvert societal norms comes at a price? Both aspects of the price of freedom should be given consideration. Plavcova, Alena. 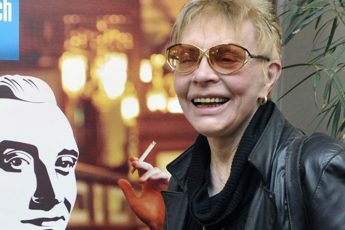 “Interview with Věra Chytilová” [in Czech]. Accessed on 1st of November 2018. https://www.lidovky.cz/lide/muzi-jsou-spis-do-prepychu-ne-do-krize-tvrdila-vera-chytilova-v-roce-2004.A171111_123419_lide_ele. “Relax Please. Jan Kraus’ Show (2005) starring V. Chytilová, P. Sís and K. Spilková.” [in Czech]. Accessed on 1st of November 2018. https://www.ceskatelevize.cz/porady/1176221164-uvolnete-se-prosim/205562222000039/. She has also called attention to women’s rights politics in “Troublemakers”, from 2006, for which she travelled Czech Republic to interview candidates for the Equal Rights party.